Southeast Tourism Society has named GypsyMoon Marketplace at Highland Stables one of the STS Top 20 Events in the Southeast for April 2019. 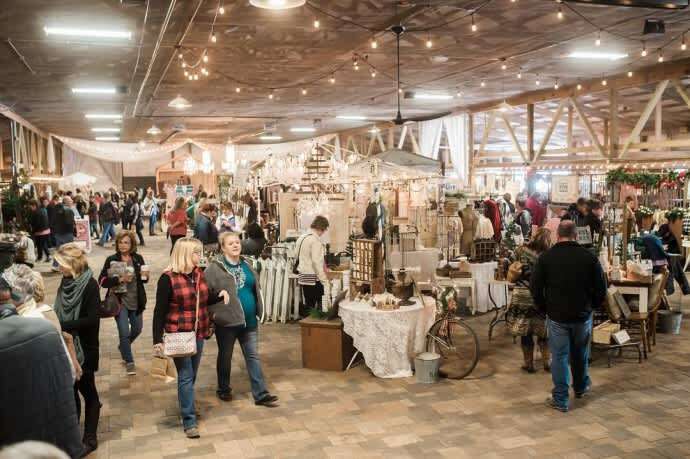 GypsyMoon Marketplace is a barn market that takes place in April and November featuring a variety of vendors from around the country. This year, the spring market is April 26-27, and the Christmas market is Nov. 7-9. The STS Top 20 Festival and Event Awards have highlighted programs around the Southeast since 1985. STS, founded in 1983 and headquartered in Roswell, Ga., is a nonprofit organization dedicated to promoting travel and tourism within 12 states – Alabama, Arkansas, Florida, Georgia, Kentucky, Louisiana, Mississippi, North Carolina, South Carolina, Tennessee, Virginia and West Virginia.